Harry and Megan’s nuptials have launched wedding season with a right royal bang so throw out the traditional gift list and give a wedding present that will set you apart from the crowd. Mark the lucky couples’ special day with one of my beautiful glass gifts, hand made, personalised and truly stunning ‘one off’ commemorative plaques perhaps, displaying the married name of the new couple and the date of their wedding. Alternatively, I can create a personalised indoor or outdoor plaque etched with an image or message that represents the happy couple and their special day. So if you are seeking wedding present inspiration, or just looking to treat yourself, I am pleased to announce I will be making my debut at this years’ Rutland County Show, on Sunday 3rd June 2018. You can meet me on my stand in the craft hall between 08.30 and 17.30 and see up close the fruits of my labours. I will be exhibiting a selection of my work, ranging from examples of glass house numbers and names, to business premises wall plaques. Also on display will also be an assortment of my home décor products including samples of my interior glass lights, all beautifully handcrafted and featuring stunning glass etched designs that have been inspired by nature and mounted on a solid oak base. The Rutland Show will also give me the opportunity to present my larger scale wall art plaques, generally depicting elements from the natural world but, as always, I am happy to discuss any other ideas clients have. These wall plaques are made from 15mm thick solid glass that has been etched with the desired design. 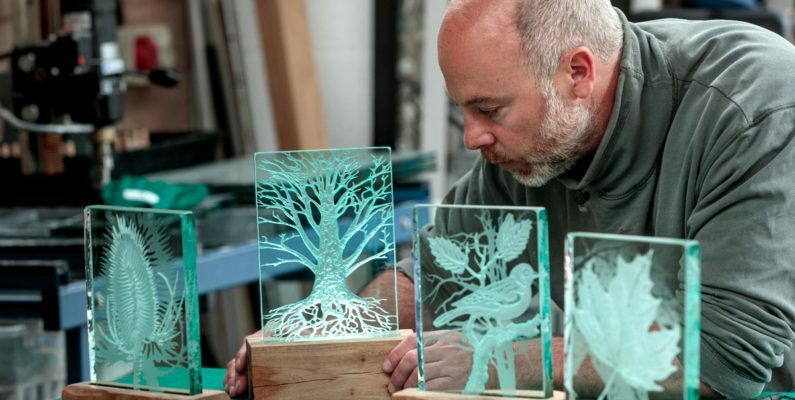 These glass canvasses are then mounted on sheets of slate, each backing piece chosen for its unique colour and texture, adding to the natural beauty of the finished glass plaque. By using stainless steel fixings to attach the glass to the slate backing I can ensure the durability and the longevity needed for the piece to withstand whatever the great British weather throws at us, making these plaques suitable for either indoor or outdoor display. Please feel free to pop along and say hello, items will be available to purchase on the day and I will also be taking orders for any additional requested items. If you have any ideas or themes that you would like creating, I am more than happy to discuss your requirements and create a bespoke piece of glass art for you, or as a gift for your family and friends. I will also be opening the doors of my Knossington based studio and supporting other artisans across the county by inviting the public on an ‘art trail’ and taking part in one of this summers’ Rutland Open Studio events on 16thand 17th June 2018 from 10.00-16.00. All are welcome to come along, meet me and see art in action as I work on some of my glass art commissions. 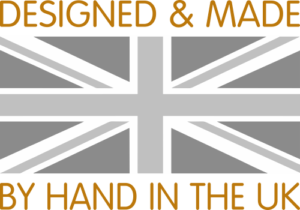 I hope that you will come along to one of my events and buy that special piece of glass art, for either yourself, or perhaps commission me to create personalised glass wedding gifts for your friends and family – unique, beautifully crafted, expected to last a lifetime. If you cannot make it along to any of the above events please contact me today to discuss your glass gift ideas with me.